We had a feeling the top dogs over at Target would have to respond to designer Isaac Mizrahi's jumping ship to head design over at Liz Claiborne's women's division. As we said in our previous post, Mizrahi reportedly brought in about $300 million in annual sales to the retailer, which reported annual sales of $61.5 billion yesterday. Here was the statement regarding Le Mizrahi's defection, from Target President Gregg Steinhafel. "As it relates to Isaac Mizrahi, we've enjoyed a terrific five-year relationship with Isaac, and I think you all are over representing what it means at Target," Steinhafel said, in an earnings conference call. "It's approximately 3% of our apparel and accessories business, and we really view his strength as a niche contemporary collection, and any efforts that we have had to move beyond that were unsuccessful at best. And so, when the contract became renewable, we had the opportunity to, he had the opportunity to broaden his involvement with an apparel company, and we took it as an opportunity to move beyond this partnership, because we did not want to pass on higher royalty rates to a small collection business within the stores." OMG, this is like sooo totally high school, and Target's all, like, pissed, because they got dumped first. So then they fire back, like, well, whatever we didn't really like Isaac that much anyways. But wait, it gets better. "We're focused on our Go International and our Emerging Designer strategy," added Steinhafel. "WE can very easily replace these four or five racks on our apparel floor in the small section that we had in accessories and footwear with these new emerging designers, which frankly have been very successful, and we've got a terrific portfolio of new emerging designers coming on-stream this year, which we'll share with you as the year progresses." Ok, so maybe we did overestimate Isaac's influence, and while $300 million sounds like a lot to our poor Brooklyn writer budgets, it pales in comparison to $61.5 billion. But still, the guy added a great personality to the floor at Target, and that's not so easy to replace. Plus, we still firmly believe that consumers connected to Isaac in a way that they will have trouble connecting with designers who are in for one quarter and out the next. But hey, what do we know? We're not making $61.5 billion a year. folks, we might just have to turn off our stock ticker for the rest of the day. 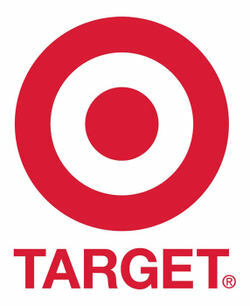 Target reports flat sales for the quarter ended Feb. 2, at $19.34 billion, though year-end sales grew 6.2% to $61.5 billion. What?! No sales losses!? This is great news!! Well, it would be if Target hadn't also posted earnings of $1.03 billion, pr $1.23 per share, down 8.2% from last year. For the full year, the brand only moved the needle 2.2%, growing income to $2.85 billion, or $3.33 a share. Below, the most obvious conclusions from Target's top dog. "Our financial performance in 2007 fell short of our expectations as the pace of sales and earnings slowed considerably in the second half of the year," said Bob Ulrich, chairman and CEO, in a statement. "As we enter 2008, we remain keenly focused on the disciplined execution of our core strategy, positioning Target to deliver improved financial results, even in the face of continue challenges in the current economic environment." Unfortunately, Bob doesn't elaborate (and we're still waiting for the conference call where, you know, he actually might give us more color on this bland statement) so we don't know what kinds of tricks he's got up his corporate sleeves. 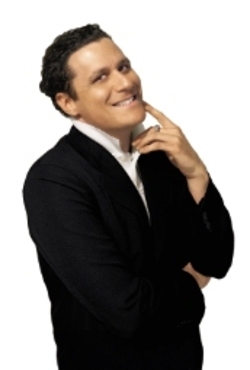 The report also makes no mention of the loss of designer Isaac Mizrahi to Liz Claiborne. Of course, Les Mizrahi's goods will still be sold through the retailer until the end of 2008, but nonetheless, his defection to Liz Claiborne was a major hit. The designer's namesake collection for the brand brought in a reported $300 million in annual sales, in addition to have a sales-halo effect on the other brands in the store. Given his name and popularity, we get the feeling that it's going to be rather hard to replace him, and certainly the one-offs for the Go International collections which have featured up-and-coming designers probably won't make up the sales loss. Moreover, the collection might not pull in as much this year, given that Target isn't likely to promote it since they won't have the goods after the holidays. For more on the Mizrahi switcheroo, check out our previous post, here. That's the feeling we get from the latest announcement from the financial office over at Liz Claiborne. A pre-announcement of Q4 and full-year 2007 earnings forecasts greater-than-expected profit losses prior to the official report due out Feb. 27. Bear with us as we go through the details. It gets foggier than Pynchon prose at times as you roll down the balance sheet expectations. For the fourth quarter, the company said it now expects losses of $0.90 to $1.00 per share, with earnings per share of $0.15 to $0.25, compared to earnings of $0.71 per share in the year-earlier period. Net sales for the fourth quarter are projected at $1.21 billion, down 3% from the prior year. For the full year, expects losses of $0.25 to $0.35 per share, on the assumption of posting earnings of $1.25 to $1.35 for 2007, a serious dip from earnings of $2.46 a share in 2006. Net sales for 2007 are estimated at about $4.6 billion, down 1.4% from 2006. It's important to call out that the projects don't include any impact from the sale of the Ellen Tracy brand today, which went to Radius Partners LLC, Westport, Conn., for $27.3 million (plus up to $15 million more, depending on how the brand performs over the next four years). That adds some dollars to the coffers that could help offset some of the expected weakness. But it's equally important to remember that the projections don't include the impact of costs associated with the company's efforts to "streamline operations," the shuttering of some of its cosmetics brands, as well as what appear to be the weakened status of those 16 brands the company had under review. But well, let's let CEO William McComb sort it out. Here's what he had to say. "While 2007 marked a very difficult period, we see the fundamental in this company heading in the right direction," McComb said in a statement. "This conservative view we are taking in our 2008 guidance-specifically around our Partnered Brands performance—is only prudent given the challenging retail environment." He also added that "markdown pressure" hit those Partnered Brands—which include Liz Claiborne and Dana Buchman—hard during the quarter, but that they're going on the offensive with recent design deals for Claiborne that include Isaac Mizrahi tackling the women's end and John Bartlett handling men's, as well as licensing Dana Buchman out to Kohl's. For more on that, see here. On a positive note, it looks like Juicy Couture is doing well, with Q4 comp store sales expected to be up 25%, while the brand jump 23% in sales for the full year. The Lucky brand remains flat against year (hey, it's better than being in the red, people! ), though Mexx was down 3% for the quarter and 2% for the year. 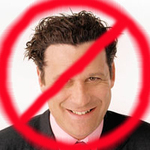 Liz Claiborne Steals Isaac Mizrahi from Target! It appears that after a successful, five year marriage to Target, designer Isaac Mizrahi is setting sail for Liz Claiborne. As the newly-tapped creative director for the Claiborne brand, Mizrahi, one of fashion's more ebullient and popular personalities, will oversee design and marketing for the brand's women's apparel, accessories and licensing businesses. His first collection under the Liz Claiborne label is slated to debut in spring 2009. "[We] believe that [Mizrahi's] innovative design sense and widespread appeal will breathe new life into the Liz Claiborne brand," said Liz CEO William McComb, in a statement. "It is certainly no secret that the brand has been lacking a clear and cohesive vision and has languished as a result. With this appointment, we are taking a major step towards our goal of creating irresistible product that will provide today's discerning woman with a compelling reason to buy." While no financials of the deal were disclosed, Mizrahi's own statement seems to betray, if not a fairly lucrative deal, then at least boosted branding opportunities for the designer who pioneered the high/low design ethos when he signed on to produce a women's collection for Target in 2003, paving the way for many others who followed in succession, including Karl Lagerfeld (in 2004, with a capsule collection for H&M), and most recently, Vera Wang (in 2007, with her Very Vera collection for Kohl's). For more on those partnerships, and their impact in the industry, please see my previous article, "Split Personality," here. "I'm honored to have the opportunity to build on this fantastic legacy and excited to reestablish the label as a must have," Mizrahi said, in a statement. "And as excited as I am about developing Liz Claiborne, the collaboration also affords fantastic opportunities for growth in my own brand." Aside from the forthcoming collection for Liz Claiborne, Mizrahi will also bow his new web-based series, "Watch Isaac," in February at WatchIsaac.com. His collections for Target will continue to be sold through the mass-retailer throughout 2008. However, we have to say that the move seems a risky one, given several factors. First, Isaac had a pretty successful collection at Target, reportedly garnering annual sales of $300 million. Why shirk that to head over to Liz Claiborne, which posted 65% dip in third quarter net income on a 4% sales drop? And yet, it's not like things are all milk and honey over at Target, which posted a sales gain of only 0.1% (at $9.26 billion) for the month of December. Then again, it's important to remember that Mizrahi is no stranger to ups and downs himself, and that the deal he inked with Target back in 2003 can be credited, at least in large part, to revamping what was then an ailing name brand. What the move means for Liz, and its impact on Target's business, remain to be seen. "It can't hurt Liz Claiborne...but the issues there are more than one individual can conquer. Bringing the brand back to its heyday will require a lot more than just a new design concept or featuring a household name on the brand's marquee; it will have to be a major shift in management, merchandising, marketing and advertising and ," said Marshal Cohen, chief industry analyst at NPD Group, Port Washington, N.Y. "As for Target, they've shown that they understand the consumers' desire and the need to constantly revolve their brands. Will they miss Isaac? Probably. But they'll find something to replace [him]." Cohen also suggested that Mizrahi might have some growing pains to contend with in his new post. "He was an island unto himself at Target; all of those other brands paled in comparison to his work, and he was treated as the prized jewel in that environment, " Cohen said. "In the mall environment [where Claiborne is], he'll be up against hundreds of other brands, where he's no longer the shining star by default." The news of Mizrahi's switch comes following the appointment, earlier this week, of John Bartlett as Claiborne's new men's sportswear designer. On a lighter note, if you're unfamiliar with Mizrahi or if you feel you need a refresher course on why this guy seems to be such a hot commodity for these mass merchants, check out "Unzipped," the 1995 documentary that took Isaac as its subject, with all his quirky humor and non sequitur dialog to go along the way. One of our favorite lines: "All I want to do is fur pants, but I know, like if I do them, I will be stoned off of Seventh Avenue, like some wanton heretic or something. So there won't be any fur pants coming down my runway. It's about women not wanting to look like cows or something." Bon soir, et bon chance, mes amis. Adieu. Lesssons In Branding: Is Vera Wang the Next Martha Stewart?